Last spring, Lebanese filmmaker Nadine Labaki became the first Arab woman to win a major prize at the Cannes Film Festival, with her third feature, Capernaum. It's a heart-wrenching drama about the real lives of immigrant and impoverished children in Beirut, shot with nonprofessional actors. The movie received a standing ovation at its Cannes premiere and won the festival's jury prize. Since then, Capernaum has been nominated for best foreign language film at the British Film Awards (BAFTA) and Critics' Choice Awards, and it's also shortlisted for the Oscars. Born in 1974, Labaki grew up in Beirut during the Lebanese Civil War. She co-wrote, directed and starred in her first two features, both focusing on the lives of women. Her first, Caramel, was a comic social drama set in a beauty parlour in Beirut. Her second film, Where Do We Go Now?, was more overtly political, a fable-like tale of religious tensions in an isolated village. For her latest film, Capernaum, she spent four years on the streets of Beirut, gathering stories — with remarkable results. 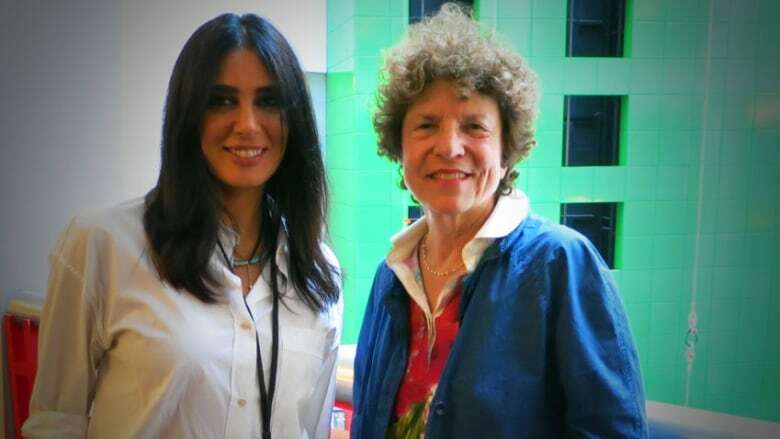 Labaki spoke to Eleanor Wachtel when her film was screened at the Toronto International Film Festival in 2018. "As a child, my teacher used to tell us, 'You see that small, almost invisible dot on the map? This is where you come from. This is Lebanon.' You grow up thinking, 'You're too small compared to the world. It's almost impossible to achieve things. You're always going to be invisible to the world because you're too small.' I think you grow up having this idea in your head, but it also becomes a challenge — wanting to prove that, even if we are a small dot on the map, we can still do things, we can still achieve things. I think I had this in me somehow — wanting to challenge this. It's not true that we're only a dot on the map. "My grandfather used to have a small movie theatre in Lebanon. My father would tell me how he used to spend hours in the projection room and dream through these images — dream of a different life, dream of new horizons. I think somehow I inherited this love of images from him and very early I knew that I was going to be a filmmaker. I decided that this is where I belong. This is what I want to do in life." "One night I was coming back from a dinner party and I saw this lady on the street. She was on a very tight, very tiny sidewalk between two roads. She had a baby with her. He was maybe one-and-a-half years old, and he was trying to sleep. The only thing he needed in the world was just to close his eyes and sleep and he couldn't. I was so angry and it hit me — his playground for the next few years is going to be that narrow sidewalk between two roads. This is where he's going to experience life. "I came back and drew the face of a child, shouting at adults. It all started from there. I started doing research... I went to many places, very difficult places in Lebanon. I spent the last four years going to court, wanting to understand how does the system work? How does the system try to find a solution for these kids or try to find structure for these kids? What happens when a kid like that is facing abuse or neglect? Where does she go? How do we treat this problem? I went to a detention centre for minors, talking to kids and wanting to understand their point of view on life. Most of the time, I would ask them, 'Are you happy to be alive?' Ninety-nine per cent of the answers were, 'No, I'm not. I don't know why I'm here. Am I just here to be punished? Is this my aim? Is this my reason to be living? Why can't I eat when I'm hungry? Why can't I find affection? I want the love I deserve.' There was a lot of anger in most of these kids and that's how [Capernaum] turned into this story of this kid who was going to sue his parents [for giving him life], but through suing his parents, he's suing the whole system. "We tried, my co-writers and I, to be very close to reality — as close to reality as possible. Reality, unfortunately, is harsher than what you see in the film. Sometimes, out of respect, you don't show everything. But these kids are facing very harsh and extreme situations." "Not all Lebanese are going to accept the sight of what they're going to see in the film. I think some people are going to deny the problem. Sometimes the problem is so big you don't want to see it. You don't want to look because you feel completely helpless. You don't know where to start, so you decide to look away. But I wanted to talk about the problem because I think cinema can be, even if it sounds naïve, a way to change. I don't want this film to just be a film. I want it to go beyond that. I think politics and art are not two different things anymore. They shouldn't be two different things anymore, and more and more artists should be involved in politics. I think art is the only way for politics to change its perspective or to explore alternative thinking. This is what we need — we need alternative thinking to really find solutions." Nadine Labaki's comments have been edited for length and clarity. Capernaum is now playing in Toronto at the TIFF Bell Lightbox. The film opens January 18 in Vancouver, February 1 in Montreal, February 8 in Ottawa and throughout the winter in other cities across Canada.